As part of the World Wide Web, bookmarks known as uniform resource identifier (URI), which is stored for later use in any of the different storage formats. All modern phones like iPhones has browsers such as Safari with bookmarks features. Just like the paper consumes useful space in a book, electronic bookmarks on your iPhone or saved on the web is a way to easily go back to the website or the specific web page every time you want but occupy much storage space. How to delete bookmarks on Safari iPhone becomes a common issue. More importantly, though these bookmarks could be an easy way to return to a webpage, they can also be messier sometimes. Hence, we need to always remove bookmarks on iPhone. Clearing bookmarks and history on iPhone will save more available storage space on your iPhone. It will help remove malware hidden when you delete iPhone bookmarks. It will destroy your personal information stored that could be easily access via the web. It will improve the running performance of your iPhone. Now that you understand the reason you need to delete bookmarks iPhone. These are few steps to delete bookmarks from Safari app. Step 1. Open up Safari on your iPhone and tap the Bookmark icon. Step 2. Now tap the minus icon followed by Delete. Safari bookmarks deleted as above are just simply invisible on your iPhone. But it's easy to retrieve them with recovery tool. It's recommended to use iMyFone Umate Pro or iMyFone Umate Pro Mac, an iPhone data eraser which allows you to permanently remove bookmarks on Safari iPhone/iPad/iPod Touch, and ensure that all these deleted iPhone bookmarks cannot be recovered by any recovery software. Permanently delete Safari bookmarks, cookies, cache and history from iPhone. Completely erase previously deleted Safari history, 100% unrecoverable. Clear all app cache on iPhone for free. It provides 4 erasure modes and 1 cleanup function. With over 25 analysis technologies, you can securely erase useless data, free up space and speed up your iPhone, iPad and iPod Touch! How to permanently get rid of bookmarks on iPhone X/8/7/6? Step 1: Get the iMyFone Umate Pro installed on your PC/Mac. Run it and connect your iPhone to PC/Mac. Step 2: Choose Erase Private Data (if you want to erase preciously deleted bookmarks iPhone, go to Erase Deleted Files), then hit Scan for a full analysis of your iPhone. Step 3: After scanning,you can select Safari Cookies and click “Erase Now” button to permanently delete bookmarks on iPhone. The iMyFone Umate Pro software has been proven to be All-in-One Solution for iOS Space Saving & Privacy Protection! It has 4 amazing in-built functions that help you manage the storage space and permanently erase private data. 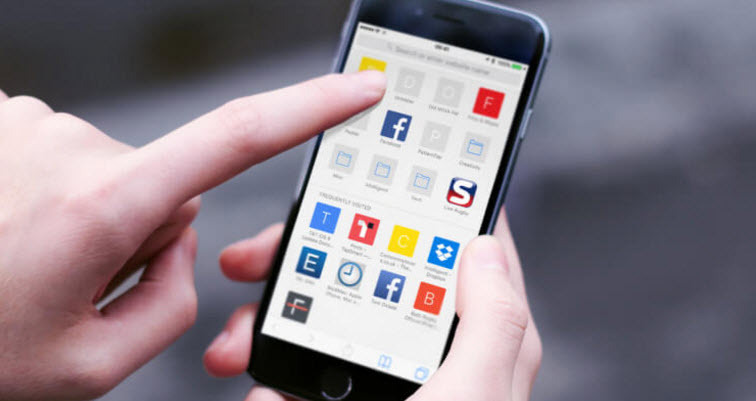 By cleaning junk files, clearing up temporary files, losslessly compressing and mass deleting photos, removing large files together according to different file sizes and managing unused apps, in just one click, you can free up your iOS device storage and your device will perform at optimal speed. Removing all your data and files on your iOS device can be done by Factory reset option. However, there is still possibility for the data or files to be recovered with some recovery tools. However, data or files erased by iMyFone Umate Pro could not be recovered even with the latest recovery tool. Simply deleted files can be recovered easily. iMyFone Umate Pro has features to show all those deleted files. You can erase those deleted files with no chance of recovery even by using latest recovery tools. To make sure private information on your iPhone is completely removed, this iPhone data eraser will destroy private data with zero chance of recovery and keep your personal information secure. Incomplete traces or fragments left by 3rd-party apps will contain some of your private info, like your name, phone number, passcode, etc. All of them can be completely wiped from iPhone without any possibility of recovery, like Snapchat, Facebook, Twitter, Line, Chrome, etc.